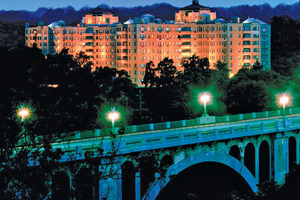 Delve deep into the heart of Washington, DC, with a visit to the Omni Shoreham, a lavish hotel where travellers can expect nothing but pure, unadulterated levels of comfort, generous amounts of space, undeterred privacy and an attentive level of service that all comes together to make any visit to the US capital all the more memorable. Located on Calvert Street, guests will have an easy time uncovering the wonders of the city with ease, with such highlights as the National Zoo, the White House, the National Cathedral and the Lincoln Memorial all within reach, while those simply looking to unwind or pursue business endeavours will be sure to appreciate the many facilities on offer, the in-house dining venues to choose from and the comfort granted within each of the plush filled accommodations that make up this unforgettable urban haven. 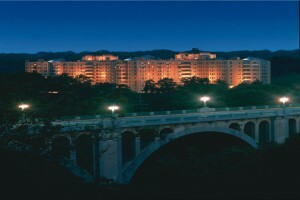 Explore the wonders of Washington, DC, while enjoying a world of comfort, quality, style and service that only the Omni Shoreham can provide. Travellers the world over are welcome to immerse themselves in the wondrous luxuries of the Omni Shoreham, a place where business and leisure travellers can come to grips with a variety of amenities, in-house dining venues and a world of comfort in the form of lavish accommodations, while the ideal setting of the hotel deep in the heart of the capitol allows for easy access to such iconic landmarks as the National Zoo, the White House, the National Cathedral and the Lincoln Memorial, all waiting to be discovered by avid explorers. For the holiday of a lifetime, look no further than this urban haven. The Deluxe Room offers guests a comfortable accommodation filled with modern commodities, stylish decor and plenty of amenities to ensure traveller satisfaction. 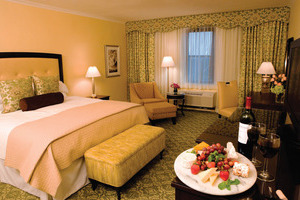 The room comes with either a king bed, a queen bed, a double bed, two queen bed or two double bed configuration. The Premier Garden View Room offers guests a stylish accommodation intricately designed with lavish comforts, quality amenities and a modern sense of decor and style. The room boasts of garden views and comes with either a king bed, a queen bed or two queen bed configuration. The ADA Accessible Room offers guests a convenient accommodation where easily accessed commodities, lowered features and additional perks ensure travellers will experience a relaxed and remarkable time. The Classic Suite offers guests a spacious accommodation designed as a garden-themed haven where plush comforts and modern amenities come together to ensure traveller satisfaction through and through. The suite features a separate living space, boasts of garden views and comes in either a king or two queen bed configuration. The Premier Garden View Suite offers guests an open plan accommodation filled to the brim with lavish furnishings and modern amenities accompanied by a sense of style and decor that mimics the garden-like setting. The suite features a separate living space and a private balcony that looks out over the garden. The One Bedroom Suite offers guests a generously spacious accommodation elegantly fitted with plenty of plush features, a number of quality amenities and a modern sense of decor that permeates throughout. The suite features a separate living space, a dining table and comes in either a king bed or two queen bed configuration. The Ghost Suite offers guests a unique accommodation supposedly haunted by two ghosts; a young girl and a former Executive housekeeper. The Presidential Suite offers guests a palatial accommodation filled to the brim with extravagant furnishings to perfectly compliment the generous amounts of space and style this heavenly setting presents. The suite features a separate living space, a dining area, a kitchen and a private balcony. 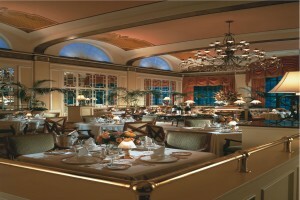 Robert’s Restaurant – Sample the fresh flavours of modern comfort foods created using locally sourced ingredients in a casual yet elegant setting. Marquee Bar and Lounge – Select from a variety of fine wines or draught beers along with light bites while watching sporting events at this warm and welcoming venue. Morsel’s – Be sure to take a time out and grab a gourmet coffee, a baked pastry or tasty treat from this bar and shop for those on the go. Splash! 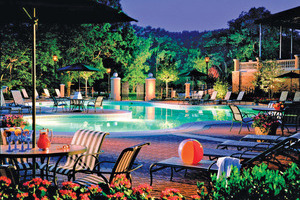 Pool Bar – Ease back and enjoy some small plate delicacies and refreshing drinks at this soothing poolside venue.